Dry eyes typically occur in those who are otherwise healthy. Common risk factors include normal aging, hormonal changes and gender, as women are affected more often than men. An inability to produce the proper quantity and quality of tears, which lubricate and nourish the eyes, can result in symptoms such as grittiness, irritation, itching, burning, visual disturbances and, ironically, excessively watery eyes. The uncomfortable symptoms caused by chronic dry eyes can also be a result of medications or medical conditions, smoking, long term contact lens use, environmental factors or insufficient blinking, especially when you are staring into a computer screen the majority of your work day. Whatever the reason, when your eyes don’t produce enough tears, both the cornea and the conjunctiva are affected and, if not addressed, chronic dry eyes can lead to damage on the surface of the eye, impaired vision and increased susceptibility to infection. 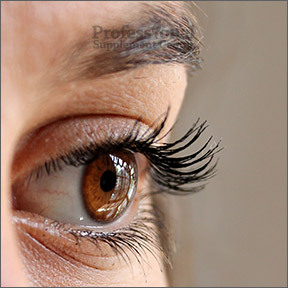 As tears are naturally anti-inflammatory, a normally functioning eye keeps irritation to a minimum. When the eye does not produce sufficient tears, inflammation results. For this reason, supplements that provide the nutrients that reduce inflammation and aid in tear production are often recommended. Along with taking nutrients, dry eye symptoms can be managed and treated with OTC artificial tear solutions, although prescription medications may be needed if OTC drops don’t provide relief after using them regularly for several weeks. Lifestyle modifications, such as remembering to blink and to look away from the computer screen frequently throughout the day, increasing the humidity in your home or office, wearing sunglasses to reduce your exposure to sun, dust and wind, and not smoking can also help to relieve uncomfortable symptoms. Drinking sufficient water daily can help to relieve mild dehydration, which can worsen symptoms. As dry eye is inflammatory by nature, omega-3 essential fatty acids found in cold water oily fish and fish oil supplements are frequently recommended, not only to reduce inflammation but also to stimulate tear production. Fish oil is natural and safe for long term use and omega-3’s are important nutrients for the development, function and maintenance of eye tissue. DHA is particularly important for eye health and is found in high concentrations within eye tissue. Research has shown that EPA and DHA omega-3 essential fatty acids not only support healthy tissue moisture and tear production, they help promote overall eye health and vision and help maintain fluid and flexible eye cells and tissues. Additionally, omega-3’s provide benefits for overall health, including cardiac, brain, immune, joint and nervous system health. Flax seed oil is rich in ALA, which has been shown to improve symptoms of dry eyes. Flax seed oil is an often recommended economical and alternative source for those who prefer plant-based omega-3’s. ALA is converted by the body into EPA and DHA. Flax seeds should always be ground before use in order to receive the optimal eye and overall health benefits. BioTears by BioSyntrx – Highly effective and scientifically designed to address the underlying inflammatory processes associated with dry eye syndrome, BioTears not only addresses the symptoms of dry eyes, it provides the nutrients needed to reduce inflammation and increase normal tear production. Organic Flax Seed Oil 1000 mg (FLX) by Douglas Laboratories – These high quality softgels provide 100% pure, unrefined, organically grown flax seed oil containing 55-60% ALA plus additional fatty acids in their natural triglyceride form. Peak Omega-3 Liquid Fish Oil by Wiley’s Finest Wild Alaskan Fish Oil – This naturally lemon flavored, great tasting liquid fish oil provides a pure and concentrated dose of omega-3 fatty acids sourced from sustainable Alaskan fish. Provides 2150 mg of EPA and DHA per teaspoon, along with Non-GMO natural vitamin E.
Current Opinion in Ophthalmology Nutritional Supplement for Dry Eye Syndrome. This entry was posted in Home and tagged BioTears by BioSyntrx, Dry Eyes, Omega-3's for Dry Eyes, Organic Flax Seed Oil 1000 mg (FLX) by Douglas Laboratories, Peak Omega-3 Liquid Fish Oil by Wiley's Finest Wild Alaskan Fish Oil, Professional Supplement Center, Vitamins and supplements, www.professionalsupplementcenter.com. Bookmark the permalink.